My sister Jan (“Janice,” growing up) is easily the best cook in our family. 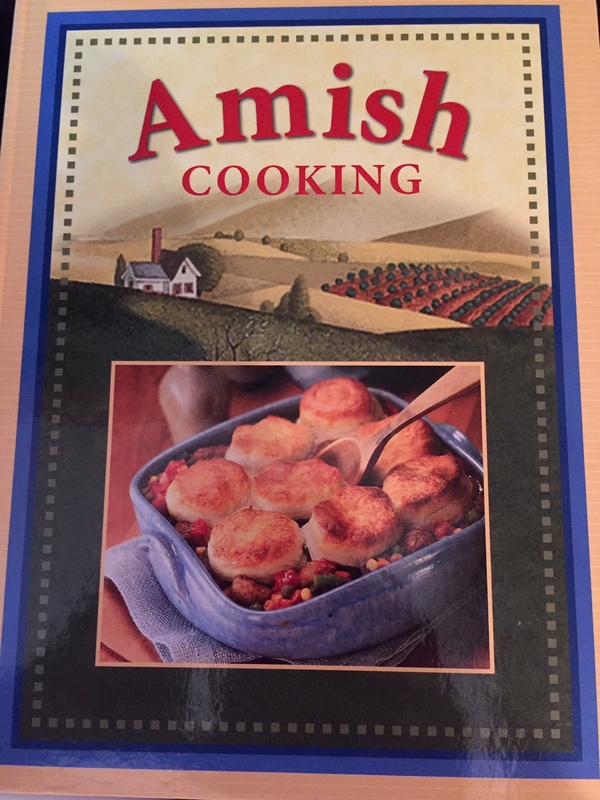 One of my birthday presents from her last year was a cookbook entitled Amish Cooking. In the head-line this week, I say “A Touch of Amish” because the recipes are quick and easy and many contain shortcuts with ingredients like commercially prepared soup mixes, an item not usually associated with authentic Amish cooking. Still, when we’re pressed for time, quick and easy may be the way to go. Besides, as temps grow cooler, who doesn’t welcome a warmer kitchen made fragrant with an herbal mix from the oven. Used by Permission: Publications International, Ltd.
Barring any need to skip off to the grocery store first, ten minutes is a short prep time, but extend the time just a bit so you don’t feel rushed. About the vegetables: To make sure the veggies are soft enough by the end of the baking time, I microwave them for 2-3 minutes before baking. Also, I use more potatoes and carrots than called for in the recipe and add an onion too. Plated, a savory dish for harvest time this fall! Busy day recipe or fall favorites – all are welcome here! How sweet of your sister to give you the cookbook! I love cookbooks. Although the dish is not something I’d make, I absolutely love your beautiful plating and table setting! Such a lovely fall theme. Fall is my favorite it season and as soon as I flip the calendar to September, regardless how hot it is in Florida, I change the table-scape to autumn colors. Like your post this week, it’s “all in the family” too, Merril. Looks like a yummy dish. And easy to make. Usually beef is added to potatoes and carrots, but this looks good also. You often have food, including your own produce, featured on your Facebook page. I have probably harvested fresh carrots and potatoes this year. You like the dish – and so would your grandchildren, I would guess. Sounds like a great cookbook! I like recipes that look like you slaved all day in the kitchen to make but in fact took very little time! Because it’s tasty and filling, the recipe might give that impression. I wonder whether you have added some Spanish recipes to your repertoire. I recently learned to make a Tortilla Espanola which was excellent. I want to try making gazpatcho as well. There are more Spanish dishes I plan to try. I have also introduced some German dishes to new friends. 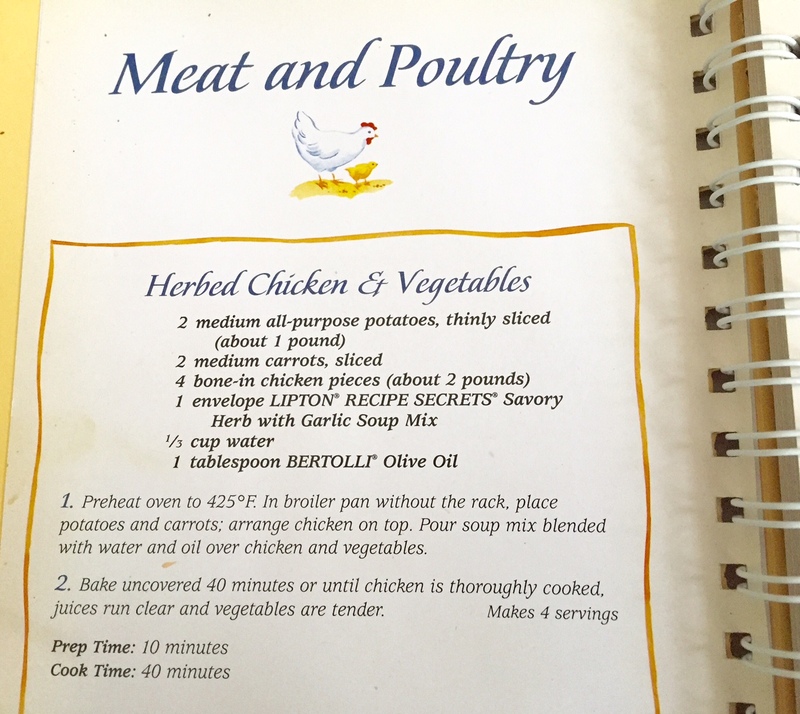 That sounds yummy, Marian.My shortcut for cooking quick chicken veggie soup is to use a rotisserie chicken from the grocery. I save the carcass and make more chicken bone broth with it for my next batch of soup. I always have jars of it in my freezer ready. I’ll bet many cooks can put ditto marks on your recipe for great broth after the chicken has been devoured. Excellent idea for others. With so many irons in the fire we need nutritious shortcuts. Way to go, Joan! Your recipe sounds delicious and nutritious, Bertha. The way I prepare the recipe shown above yields at least two meals – more if you’re light eaters. 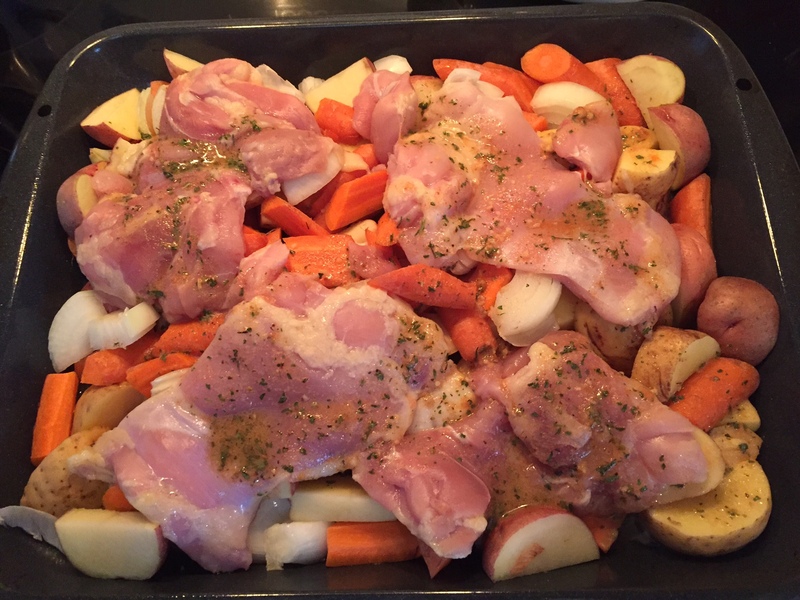 Thank you for the 10 min recipe Marian, even I could do this, and using a soup mix is a brilliant idea! Clever Amish – and it sounds delicious, wholesome, hearty and healthy! Please sir, may I have some more? More recipes please Marian, I’d love to save them. Although we’re well and truly into summer in this part of the world, in fact a heatwave for the rest of this week. Like you I’m vicariously enjoying fall foliage on other friends’ Facebook pages. If we look very hard in December here in Jacksonville, we can see russet and gold on some of the live oaks nestled among pines and palms. You always urge me to consider other time zones, terrains – hemispheres even. I’m glad you enjoyed the recipe, Susan. Yum! A lovely dish for a cool day. I wonder whether Orlando had a cool spell lately. Obviously this recipe is quick and easy and sends out an appetizing aroma while you sit in your writing space. Where can I find a copy of this cook book? I love simple and easy recipes! Actually I think Janice found the copy she gave me at the Books A Million store here in Jacksonville. If Dan likes to cook, you could enjoy time with him in the kitchen. It’s so nice to hear from you again, Sue. That plate made my mouth water, and I’m not above using prepared soup mixes to save time, so this recipe will stay in my mental cookbook. As for others to add to the list, I made a taco salad on Sunday with lettuce, tomato, carrot, corn, jicama, kidney beans (with chili and cumin added), and avocado. Dressing was 1/2 c. olive oil, handful of fresh cilantro, and juice of one lime. Daughter Kate shared the recipe with me. A less successful dish was the recipe for scalloped oysters in the Mennonite Community Cookbook. Too dry. We win some. We lose some. I first saw the word jicama in a Guideposts recipe I made. First I had to learn how to pronounce it. (According to my kids, I was putting the accent on the wrong syllable.) Thank you for posting the taco salad recipe here. It will no doubt pop up in somebody’s kitchen, maybe even mine. 😉 I’m warming to the taste of cilantro – it’s refreshing in tiny bits. 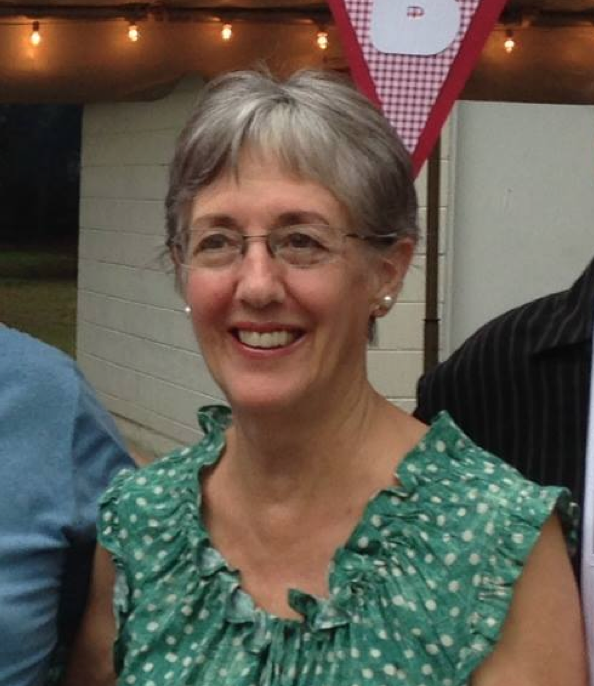 Author Louise DeSalvo maintains that cooking enables her to write. I’m not sure I’d go that far, but it certainly serves as a creative diversion. Shirley, we always had the scalloped oysters Christmas Eve. Marian — You and your sister have identical beautiful smiles! I love the recipe you shared in this post. I’m going to print it for Len—the cook in this family. My specialty? I make a wicked-good Buddha Bowl (http://tuesdayswithlaurie.com/2014/12/30/buddha-bowl/)—a staple in our home. This one is a no-fail recipe whether you or Len make it. Let us know how it turns out, Laurie! Laurie, I read your Buddha bowl post. Is it a cold dish? It seems that way. Do you ever make it hot, like soup, or does that make it not a Buddha bowl? And why is the name “Buddha bowl”? Athanasia — Yes, it is a cold dish (much like a “kitchen sink” salad). I’ve never tried making it hot, although I suspect many of the ingredients would go toward making a delicious soup. The name “Buddha bowl” stems from the idea of savoring and contemplation (present moment awareness – much like Buddha taught) while you eat. Using chopsticks slows a person down, making it easier to focus on the task at hand. NOTE: This way of BEing, however, can be done with any food that we eat. My mother used to make this recipe, Marian! I remember the Lipton soup pack. She must have added something special, though, because mine never turned out as good as hers. Mothers and grandmothers have cooking magic, as we both know. 😉 You always include such great pictures. Thank you for mentioning another example of similarity in our experiences. I have a theory about other people’s recipes tasting better than our own: When we’re in the kitchen making a recipe our noses are saturated with all the cooking aromas and by the time we actually eat the food, there is no olfactory or tasting surprise left. As I said, this is just a theory. Thanks for noticing the photos. My pleasure! Looks good enough to eat! I can attest …your taste buds won’t be disappointed. After watching an Amish woman cook all day yesterday, I know Amish modern cooks use plenty of shortcuts without apology. I can’t wait to say more but I have to. 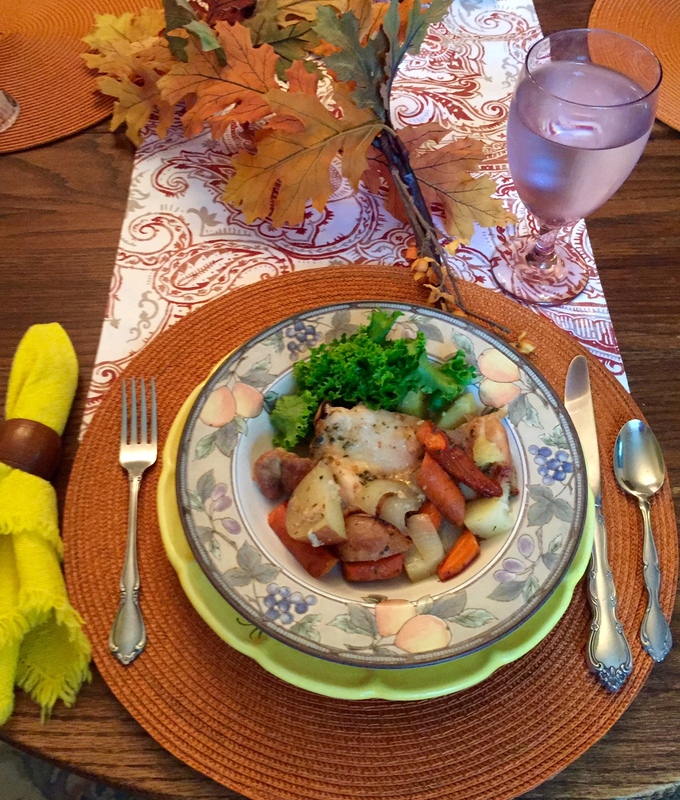 🙂 But you obviously did a lovely job with this recipe, meal and post sharing the savory scents and feel of fall. Bon apetit! I think you sensed a certain hesitancy in my posting this recipe as bonafide “Amish,” but it is so savory and complements the season, I think. Besides, I wanted a reason to showcase my sister who never seeks the limelight as a cook or otherwise. You have piqued my interest when you say “I can’t wait to say more.” Perhaps we’ll see the “more” on a future blog post. Eh? Nice, Marian. Great photos as always and I love the inclusion of your sister for this October special. I cook a similar roasted dish using tofu instead of chicken. Lots of onions and garlic roasted with the vegetables and tofu, a little soy sauce, and a dash of cayenne. I could sit at your table any day and enjoy the dish you describe. Someday, I have a feeling we’ll meet if not at our houses somewhere in between. That would be grand. Yes, I’m fortunate this sister lives just a stone’s throw from me, 2 1/2 miles in fact. My other siblings live in Pennsylvania from where my nostalgic posts originate. Always nice to see you here and imagining now you’re enjoying a riot of colors on your farm. Quick and easy is my kind of cooking (and meatless too). You could probably adapt the recipe with tofu the way Elaine (above) does. Thanks for checking in today. I know you’ve been quite busy and traveling too perhaps. What a delicious looking meal mmm . Butter 12 slices of bread ( with crusts cut off) cut into small pieces and arrange half , butter side down in ovenproof dish . Peel , core and slice apples , wash and hull blackberries . Place half apples , half blackberries then arrange rest of bread and butter butter side down on top. Mix 225 ml milk , 450 ml of cream , 150 g of caster sugar , 4 eggs then pour over your pud . Bake in pre heated oven 180 c in a Bain – Marie ( roasting tin half filled of boiled water ) for 2 hour …hey presto serve with custard or cream or whatever you fancy . The recipe sounds yummy, Cherry. And you made it with YOUR sister Jan – great! Wherever you make the dish, caravan or kitchen, it will turn out yummy I’m sure. Thanks! Once someone thought that Janice and I were twins. I could never see such a close resemblance, but then I see differences and others see the similarities. Thank you for the compliment, Kathy. Wishful thinking: It would be nice to have the tasty ingredients of home-growth produce at my finger-tips. When I see your snapshots on Facebook, I gape in amazement. A treasure trove of healthy eating! I know you and Wayne realize this and count your blessings. If you included that recipe for pumpkin custard you are sure to have even more clicks. I enjoyed your post today as you anticipate retirement, time to savor the fruits of your labors, Judy. You have that right – easy, peasy. Maybe you can put a Canadian touch to the fixings. And I hope you had a good Thanksgiving weekend, Debby. Hi, Marian, thanks for leaving your comment over at my blog. I’m thoroughly enjoying your blog (thanks for sharing the link with me) and your writing. The recipe looks delicious. I’ll try it. 🙂 I make a similar dish using pork steaks, topped with carrots and potatoes and a can of cream of mushroom soup (diluted a little). Thanks for connecting here, Linda, and adding your own touch with a recipe. Sometimes I think BlogSpot and WordPress are not very compatible as I find it often difficult to reply when the tables are turned. I don’t know why that is. But I always welcome new connections. Thanks again!